Young enthusiasts of physical and natural sciences aged 15–19 who wish to develop their practical skills can enrol for free workshops conducted by partners from the Adamed Group and scientists from the Chemistry Faculty of the Warsaw University of Technology. This is the second edition of the ADAMED SmartUP Academy science workshops organised in collaboration with the Chemistry Faculty of the Warsaw University of Technology. It will consist of six modules combining theory with experiments. The first workshop will take place on 24th March. Until 10 March, you can still enrol for the next session — “From the idea to the pharmacy, or how modern-day drugs are developed”. Costs of travel will be reimbursed to participants who live more than 50 km away from Warsaw. The lectures and workshops held as part of the ADAMED SmartUP Academy are devoted to physical and natural sciences. 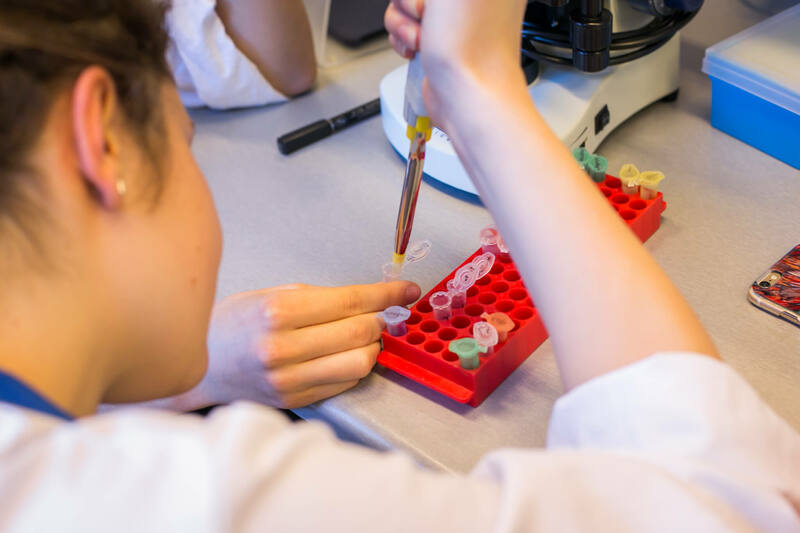 Under the supervision of scientists from the Chemistry Faculty and partners from the Adamed Group, young people will be able to perform chemical or chemoenzymatic synthesis of a sample drug or even examine genuine post-explosion samples. To sign up for the workshops, simply fill in the form available at https://academy.adamedsmartup.pl/ and briefly describe why you are interested in participating in the classes. The number of available places is limited. The project is co-financed from the funds of the European Social Fund as part of the Operational Programme Knowledge Education Development.